Super simple and attractive way to shield up to 99% of EMF radiation from devices like WiFi, cell phones, cordless phones & baby monitors. 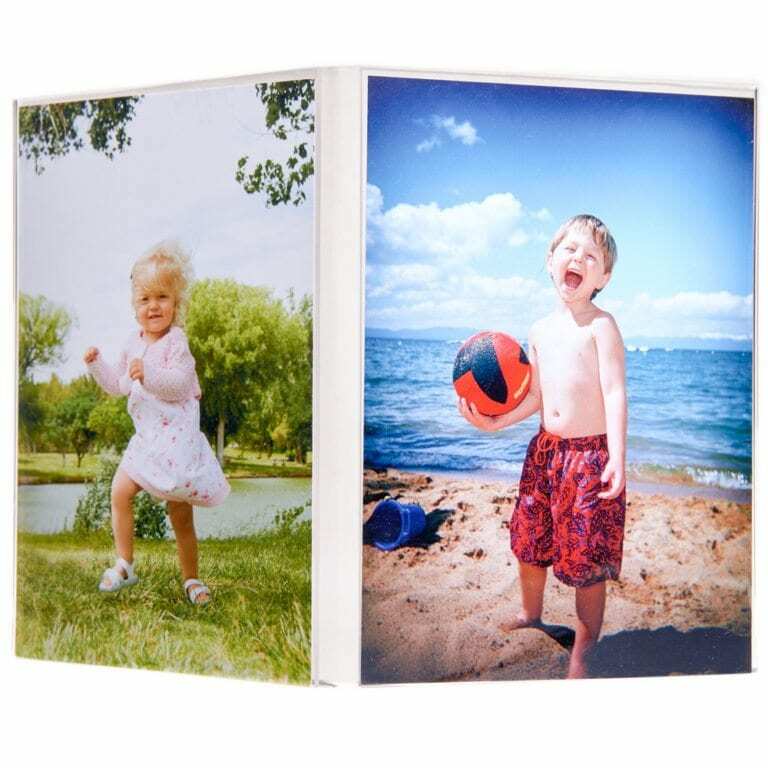 Free-standing, tabletop semi-transparent EMF / RF / microwave barrier that holds two separate 5 inch by 7 inch photos or pictures. 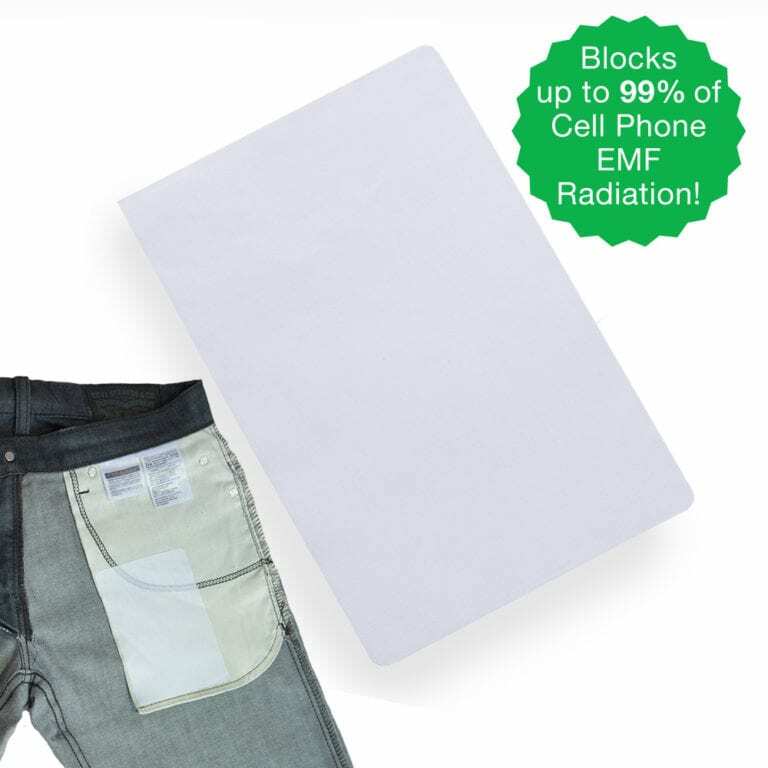 It blocks up to 99% of EMF radiation emitted in one direction by “casting a shadow”, while still allowing the wireless device to work. Portable, slim, attractive. And it couldn’t be easier to use. Sleep with your cell phone next to your head? 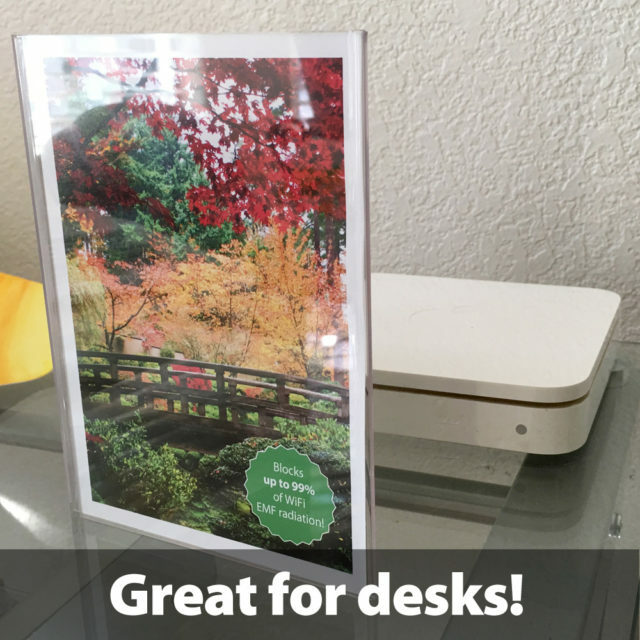 Have a wifi router on your desk? Or a wireless baby monitor in your nursery? Just put our EM shielding picture frame wherever you need it to reduce your exposure! 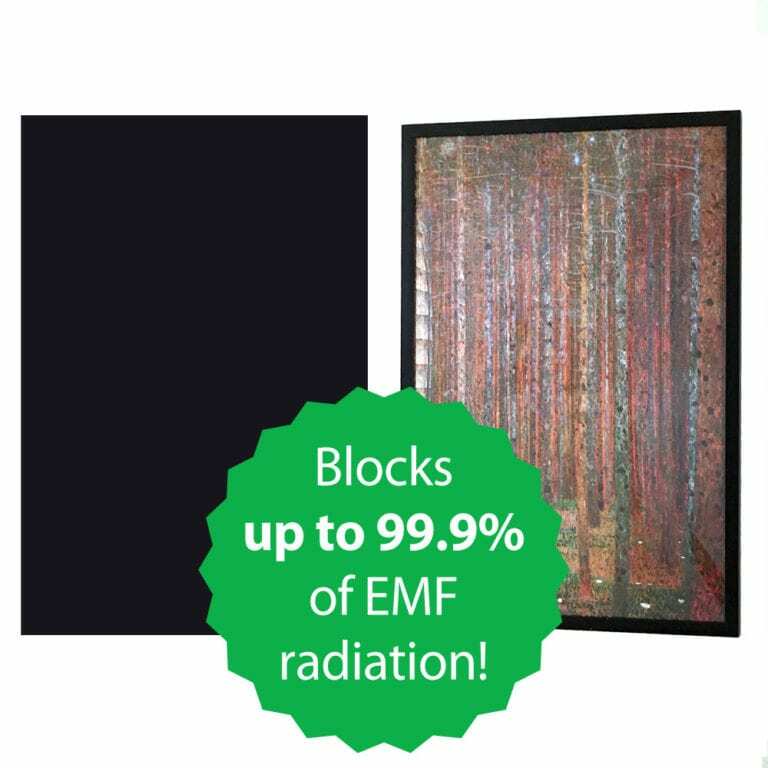 Our frames use universally-accepted and scientifically verified principles to shield your body from EMF radiation. Inside each frame is a super fine nickel/copper coated polyester mesh that forms a powerful and transparent shield to block up to 99% of EMF radiation. Protect yourself and your loved ones from harmful EMF radiation with the SYB Angled Picture Frame (Patent Pending). Radiation from wireless communication (such as from WiFi, baby monitors and smart meters) has been linked with many negative health effects, including cancer, infertility and interfering with sleep; the World Health Organization designates this type of radiation as a Class 2B carcinogen. 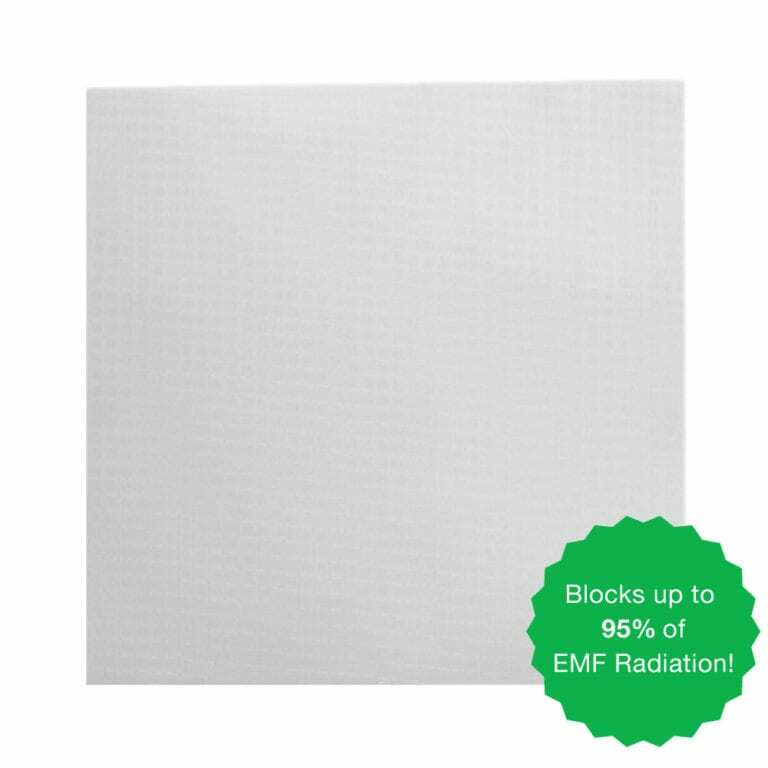 Our frames use well established and proven science– each frame is lined with a powerful transparent EMF shielding nickel/copper coated polyester mesh see through fabric, that deflects up to 99% of EMF radiation (>50dB over 10 MHz-3 GHz, typically a 70-90% reduction), working much like a Faraday cage, providing amazing shielding performance. Each frame is acrylic and holds two separate vertical 5×7 inch photographs or pictures. Angled design allows it to be free standing, anywhere you need it: at home or work. 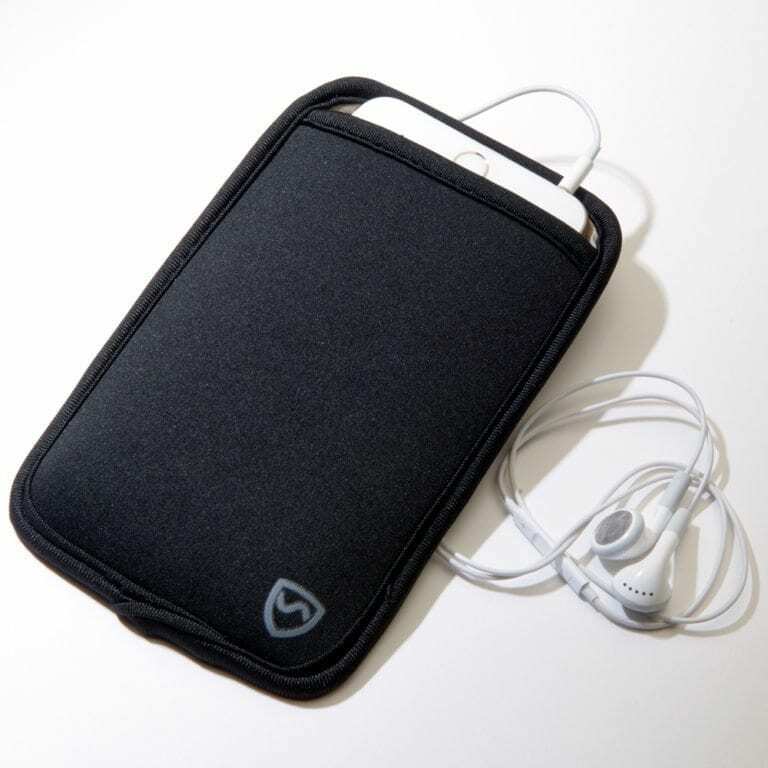 Sleep with your cell phone next to your head or on a night stand? Have a wifi router on your desk at work? Or a wireless baby monitor in your nursery? Or your co-worker’s laptop computer too close to where you sit in the office? Then our picture frame is for you! 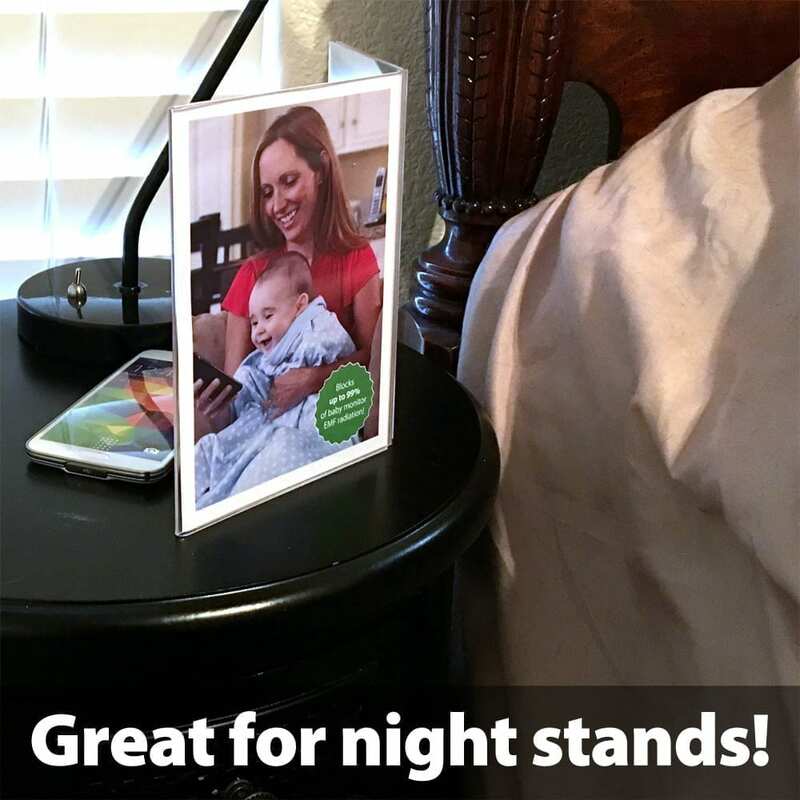 Shield Your Body from harmful EMF radiation and reduce your exposure to electromagnetic fields with the SYB Picture Frame.